Tej Pratap, 30, who returned to Patna six days ago after spending nearly a month at undisclosed locations outside Bihar. 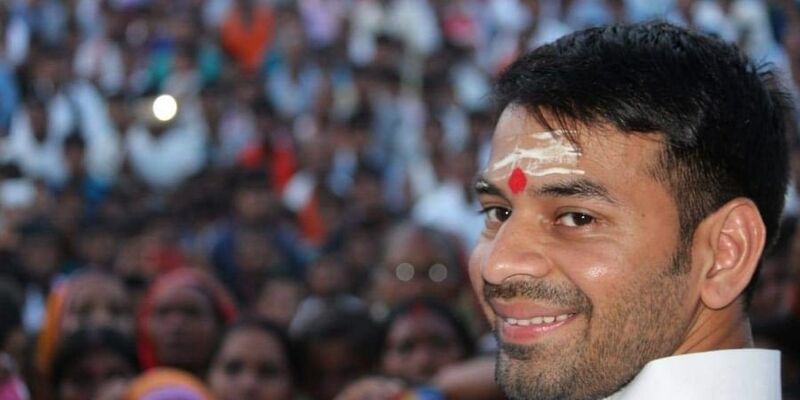 PATNA: Jailed RJD chief Lalu Prasad Yadav's elder son and MLA Tej Pratap Yadav, who has filed for divorce from his wife of six months against his parents' wishes, no longer wants to live with them. He has asked the state government to allot him a separate bungalow. Tej Pratap, 30, who returned to Patna six days ago after spending nearly a month at undisclosed locations outside Bihar, has refused to visit his parents' official residence at 10, Circular Road, where he had been living with his mother, former chief minister Rabri Devi and his wife Aishwarya Rai. He has been spending time at a hotel and also at the houses of some of his close friends. "A formal request has been received from Tej Pratap Yadav for allotment of a bungalow to him as an MLA. The request would be processed soon," said an official of Bihar's building construction department. The first-time RJD legislator has reportedly asked for the 2, Strand Road bungalow. He is likely to get the building as it is currently lying vacant. Tej Pratap, who had served as Bihar's health minister for 20 months as part of the state's erstwhile grand alliance government led by CM Nitish Kumar, had vacated his 3, Deshratna Marg ministerial bungalow after the new NDA government sent him notices. His younger brother and Opposition leader Tejashwi Yadav, who had served as deputy chief minister in the same government, is yet to vacate the bungalow despite pressures from the government. He has challenged a recent Patna High Court order to vacate the bungalow. All efforts by Lalu Prasad Yadav, Rabri Devi and their large family to persuade Tej Pratap to withdraw his divorce petition have failed. Tej Pratap had married Aishwarya Rai, daughter of RJD leader Chandrika Rai and granddaughter of former CM Daroga Rai, in a grand ceremony on May 12. He filed for divorce on November 2. In the first hearing of the case at a family court in Patna on November 29, he said he is determined to divorce her. Sources said Lalu Prasad Yadav, whose health turned more delicate after Tej Pratap refused to change his mind on the divorce petition, has asked his aides to identify the people who have allegedly been financing Tej Pratap's hotel stays and visits to religious sites outside Bihar.